is the website / blog about design templates, with cool photoshop template videos, free and premium template graphics and much more than that. Definitely worth checking! That being said, it’s one of my websites (along with PunkGraphic, DownloadSoho, CreativeArtMarket, ScaryPoster – all dot coms) with the accent on pre-made design resources and website graphics, downloadable and editable. I have made over a thousand of those files / units so far and they are spreading online like a plague. Scarab13.com is getting some 2500 unique visits on a daily basis. I wish I have more time to maintain it, but I don’t. 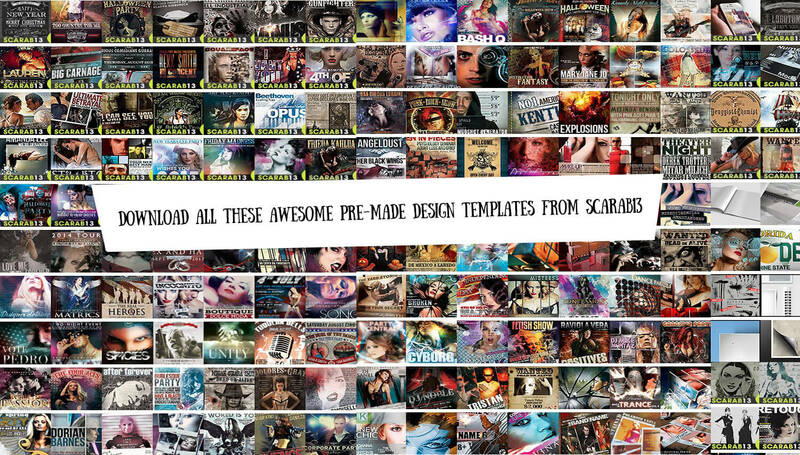 Scarab13 is lately also a music label (it grew from my previous one TheAxart Production).